Making money by reselling basic business services can be extremely lucrative in the right circumstances; after all, nearly everyone uses them. That’s why wholesale foil cards should definitely be on the menu of any design professional who works at directly reselling, or any sales or marketing person who is supported by trade print shopsand works at reselling. 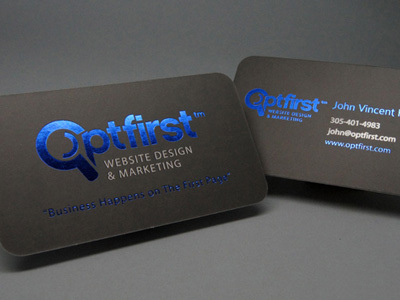 Wholesale foil cards are particularly good services for resale because they represent the best of both worlds; wholesale foil cards obviously have a premium finishing option, but since they are purchased wholesale, much of the pricing concern is alleviated at the same time, making it a great product for those who develop a relationship with a trade print shop to actually print their cards. Another big benefit of reselling wholesale foil cards is that if you work in design, you will likely amass a relatively impressive product portfolio quite quickly; people don’t spend the extra money on wholesale foil cards unless they have a premium design they are intending to showcase to people. This means that after you’ve resold wholesale foil cards for a while, you’ll have a great portfolio full of some top-end design work that you can rightfully claim a hand in having developed.